CTC Appraisal Services proudly offers residential and commercial property appraisals to customers throughout the state of North Carolina. Partnering with CTC for your property appraisals means partnering with a company that has the highest ethical standards, over 25 years of industry experience, licensed and knowledgeable appraisers, and is focused on your total satisfaction. Our experience lets us provide our clients with the best possible valuations, quickly, and worry-free. Once you begin the easy appraisal process on our website, we get right to work ensuring that you get the high quality appraisal you need, exactly when you need it. We strive to give our clients the true value of their property and provide exceptional customer service while doing so. The team at CTC Appraisal Services consists of fully licensed and experienced appraisers. Each has significant experience in both residential and commercial property appraisals. They know that your property’s value is based on a number of factors and work to do the research necessary to give you a fair and accurate assessment of your property’s true value at the time of appraisal. Not only is it important to know your property’s value, but it’s important that the appraisal is considered fair, objective, and thorough. The appraisals from CTC are widely accepted nationwide because of our commitment to following only the strictest ethical standards in the appraisal industry. We want your appraisal to reflect the true value of your property and to be trusted by those who see it. Our team of appraisers are experts in the residential and commercial property appraisal industry. They bring a depth of knowledge, experience, and commitment to their customers that has pushed up to the top of our industry. 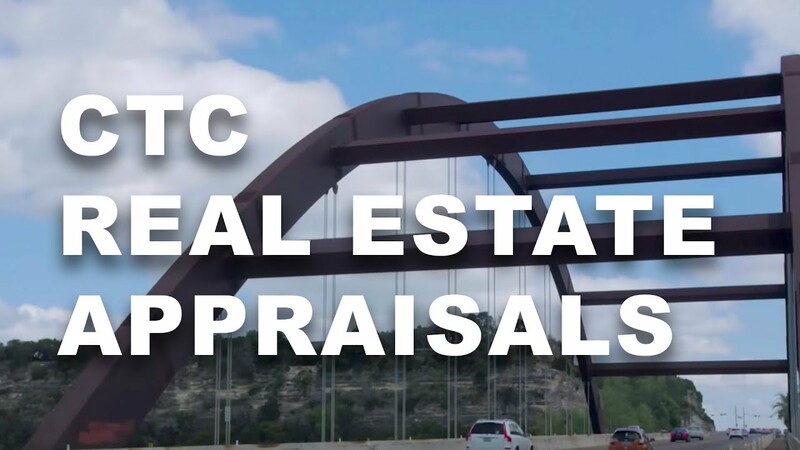 An appraisal from CTC is trusted and accepted by decision makers, investors, insurance companies, and lenders nationwide. Contact CTC Appraisal Services for all of your North Carolina residential or commercial property appraisal needs. We are standing by and ready to help you get the most accurate valuation of your property.